No DRM – Escape Reality, Read Fiction! 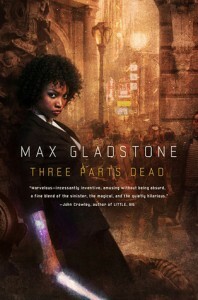 Black Ice is the followup to the first book in this series, Mist (reviewed here). I can definitely say that the title of this latest entry is appropriate, not just because there is literal “black ice” in San Francisco (in June!) but also in the sense of “things are always darkest just before they turn completely black”. This story is not an upper. The situation starts out grim and keeps getting grimmer. Also Grimm-er, in the sense of myths and fairy tales coming entirely too true. 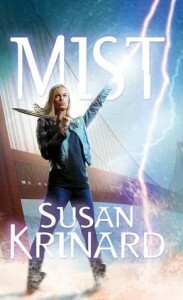 Mist, the titular heroine from the first book, spends this story fighting off Loki and other enemies while continuing to both gather and lose followers. Some die, some betray her. Whichever is the worst outcome on any given occasion. There is a lot of nonstop action, but also a sense that little to nothing is going Mist’s way. 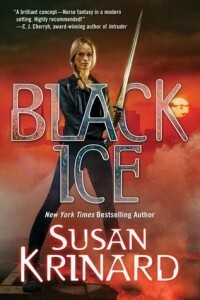 Black Ice feels a lot like a “middle book” in a trilogy, in that the plot is on a downstroke. Mist gains new allies; she finds a couple of her sister valkyries and one of Odin’s ravens (either Huginn or Muninn, we don’t know which) arrives on the scene with its person. Meanwhile Loki turns out to have a dangerous new ally of his own, and gets his hooks firmly embedded into some of Mist’s own allies. Things are not looking up. Oh, and her mother comes back. Mist has no idea that her mother Freya is planning to the biggest betrayal of all, because she’s too wrapped up in the more immediate grief at the loss of her would-be lover, Dainn, back to Loki. It’s too bad that Dainn is not the first (and probably not the last) from her inner circle to turn their coat towards the god who is trying to bring on the end of the world. The contest isn’t even serious to Loki, he’s just playing a very big game. Mist wants to save the place that she’s come to love, and all the people who follow her. Some will die. Some have already died. All Mist can do is soldier on and hope that their sacrifices will be worth it. She has no idea that she is in more danger than anyone else. Escape Rating C+: The story setup is that Loki is the embodiment of evil, but I’m not sure that anyone is playing the good side of the eternal equation unless it’s Mist herself. Freya is not “good” by any human definition, even though she puts on a very good show of being benevolent. It’s pretty obvious that the agenda she is hiding is every bit as (possibly more) self-serving than Loki’s. And while Freya’s agenda seems obvious to everyone but Mist, I’m less convinced about Loki’s. He’s still (and always) a trickster, but he’s quite capable of doing evil in the name of not so bad. Or at least survival. Mist spends the whole story being run off her feet from battle to battle. She never catches a break. Also she gets betrayed so many times, and most of the betrayals are obvious up front. I wish she’d get a bigger clue. The really interesting character this time out is Anna Strangland, accompanied by her raven-disguised-as-a-parrot, Orn. While Orn is obviously more than he appears, we don’t get a clear picture of what he is. (Bets on Huginn or Muninn). But Anna gets dragged out of her everyday life into Ragnarok, and manages not to be overwhelmed and to make a place for herself. I hope that book 3 moves the story into an upswing. There really needs to be a bright side to look on, and where Black Ice ends, it isn’t even on the horizon. 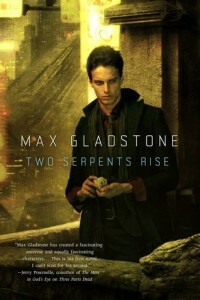 The lawyer/necromancers are back in this third book of the Craft Sequence, after Three Parts Dead (reviewed here) and Two Serpents Rise (here). 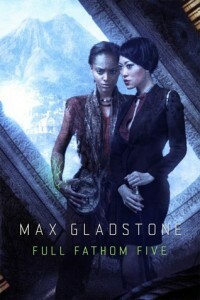 Admittedly, the concept of law as necromancy is one that is too close to the truth not to make for an awesome story, but Full Fathom Five isn’t so much about the contract law as it is about the way that we create deities in our own image, and what happens when we succeed. Worship is power in the universe of this series, and power is not merely divine power (although it is also that) but all actual power like electricity. It heats homes and lights cities. But the fascinating thing about the deities in this world is that they can die by losing too much power, either by losing worshippers or much more spectacularly, by getting caught short in the futures market. If money is power, then in this world, power is also money. In the series, we’ve seen the rise and fall of deities (Three Parts Dead), the near catastrophic loss of a technology based corporation that provides power in the place of any deities (Two Serpents Down) and in Full Fathom Five we see the middle-option; fake deities (literally idols) as a way of putting oneself outside either of the other systems. Idols are like gods, except they are literally created by humans. Actually sculpted to accept worship and hold contracts, just like real deities. Investing in an idol avoids paying tithes in deity-country and taxes in corporation territory. But what happens when the idols start waking up and dispensing inspiration and grace? In other words, what happens when a tiny country whose ability to fend off both sides rests on the neutrality of the idols they create, and when those idols cease being neutral? Kai makes idols. They live, and they sometimes die. But when she tries to save one from certain death, she gets sidelined and sidetracked from investigating what went wrong. Also demoted and displaced. The contract necromancers are searching into every nook and cranny to discover why one of the idols defaulted on its contracts and went effectively bankrupt. Meanwhile, both a poet and a street gang have begun worshipping gods who have inspired and saved them, but who no one else knows exists. Except that someone does, and it’s someone who will do anything to protect the secret, up to killing as many gods and goddesses as it takes to keep anyone else from knowing that their tiny country is no longer neutral in the god wars. Escape Rating A: I think there is a pattern in these stories, at least so far. When humans create or reject their own gods, what different ways might that happen. This one is not so much about the literal creation of idols, as it first appears, but what happens when worship creates a new god and upsets the old world order. People don’t like change, and will go to great lengths to protect the status quo. Kai pokes her nose into this investigation because she can’t reconcile what happened to what is supposed to happen. And every time someone tries to tell her that her memory is wrong, or that she must still be recovering, she can’t get past that voice in her head that says she remembers events correctly. Her work is what she has, and she needs to figure out how she could have been so mistaken. Of course, she isn’t. The street gang, a bunch of kids, is telling themselves stories about the “Blue Lady”, but their storytelling is a form of worship. They have found a god, or she has found them, and she is protecting and helping them. Unfortunately, her attention means that someone really is out to get them. And a lost poet was given 6 months of grace and inspiration by the goddess, and can’t find his way back again now that she’s gone. Kai keeps finding links between the idol who died, and this goddess who doesn’t exist. The deeper she probes, the more she discovers that her world is bigger and darker than she thought. And friendship is the greatest saving grace of all. Just as in the other parts of this series, each glimpse into this world shows a different facet, and the case is complicated with both magic and the depths of human (and divine) nature.